It may be a tad heavy and have underwhelming standard battery life, but the Satellite Pro U500 has plenty of features, performs well for the most part and it's comfortable to use. We'd like it if a more powerful battery was installed by default and we also hope that Toshiba updates the fingerprint software on all its shipping models. We also wish the fingerprint utility would also work with Firefox. When you think of Italian superbike marques, you think of the colour red - a vigorous, powerful, thrusting hue. Yet Toshiba has chosen to deck its Ducati-themed Satellite U500 out in - dare we say it, slightly feminine - white. Superbike branding does not a super laptop make, though this bulky notebook's performance isn't bad for the price. The Toshiba U500 is about affordable multi-touch. The included Microsoft Touch Pack works smoothly and shows off the responsive touch screen well. But while we’re bullish on Windows 7 touch, there aren’t a lot of apps that make good use of it yet; and the standard notebook design isn’t the best to take advantage of touch. It’s slightly awkward to reach over the keyboard area to touch the screen in a coordinated manner vs. using a touch screen on a convertible notebook that folds flat. Toshiba's Satellite U505-S2940 features a realtively compact 13.3-inch display, but it is really pushing its portability because of the excessive large battery that bulges from the back hinge area. This does give it long battery life but at the cost of portability. 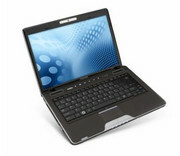 The laptop does provide some unique aspects including a large number of peripheral ports including eSATA and ExpressCard that many 13-inch laptops lack. It is too bad that Toshiba has a less than stellar keyboard otherwise it would be a decent choice for those needing long running time with higher performance. It isn't often that IT PRO sees laptops for home users, but with its unashamedly glossy looks and home entertainment features, the Toshiba Satellite U500 could be a superb travelling companion, particularly for those who like to fill long train or plane rides with the odd film. Good for entertainment, but not so hot on battery life or professional credentials. A full day of classes rarely occurs in one location, so the last thing you want is a laptop that feels like a bigger anchor than your textbooks. The Toshiba Satellite U505-S2930 ($800 street) strikes a good balance between weight and having enough screen real estate to keep you from scrolling incessantly. Though made out of plastic, the lid's textures are reminiscent of a fancy leather case and the parts are current enough to get you through several years of school. The Toshiba Satellite U505-S2930 doesn't break the bank, and its design and features should satisfy most back-to-schoolers for at least several years. We've reviewed a lot of Toshiba laptops lately, mainly because they've released a veritable flood of midrange laptops onto the market over the last few months. 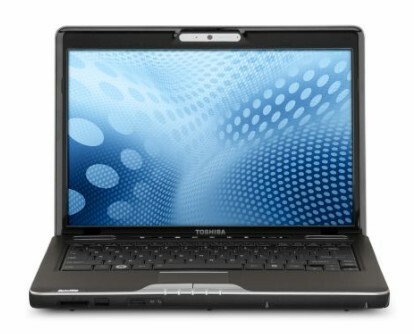 Slotting into a range of similar-looking products, the Satellite U505-S2940 looks like an iteration on the compact design of the Satellite M505, focusing on portability while including some higher-end features such as a backlit keyboard and a slot-loading optical drive. The stylish design and high-end feel of the Toshiba U505-S2940 don't make up for mediocre ergonomics and performance that can be had for less in other laptops. The Toshiba Satellite U500/U505 is a good general-purpose laptop but it has tough competition from other 13-inch notebooks currently on the market. Toshiba clearly listened to some of the criticisms about last year's U405 and made some improvements on this year's model. Unfortunately, Toshiba might have shot themselves in the foot when it comes to the price of their higher-end configurations. I have a hard time believing that most students would be interesting in buying this Toshiba for the full retail price of more than $1,000 when that same student could buy a brand new 13-inch Apple MacBook Pro for roughly the same price. T6500: CPU dual-core de nivel básico basado en Penryn con un pequeño cache de 2MB nivel 2 y FSB800. Similar al T6570, pero sin VT-x. 69.5%: Esta evaluación es mala. La mayoría de las portátiles son mejor evaluadas. Esta no es una recomendación para compra.